You’ve come a long way from lumpy futons and milk-crate coffee tables, and you’ve figured out the whole sham, sectional, thread count thing. You know it’s a window treatment, not a curtain. 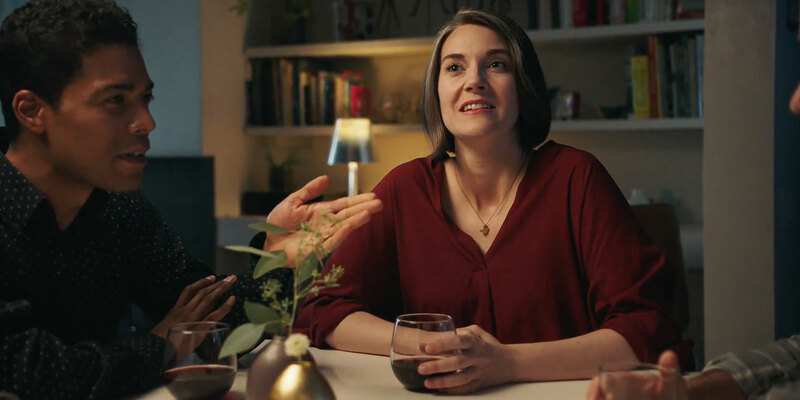 Maybe the next step is to “Get house proud,” like the characters in West Elm’s first TV ads, who are creating an environment so stylish that it makes their friends want to take off their shoes before entering. That’s a first. It could be the chic area rugs. Is this an HGTV fever dream or a real living situation? That’s for you to decide, but for those who yearn for grownup furnishings (“Your couch has another couch for your feet—it’s called a chaise”), this campaign from Humanaut may speak to you. In the work, the first from the agency for the Brooklyn-based brand, people don’t haphazardly buy pillows. They add “an accent color” to the room. That shade, by the way, is not yellow. It’s horseradish. Their hidden-storage game is “so on point” that no one knows they even have kids. One gal finally impresses her critical mother-in-law with unique “reactive glaze” table settings. Best. Thanksgiving. Ever. The campaign, which consists of a 30-second TV spot, several digital ads, banners and social media, is shot in slow motion so decor fanatics can soak in every midcentury modern, crisp white linen and sustainably sourced detail. The reactions are also funnier that way, framed by a tongue-in-cheek narrator. “There comes a moment in everyone’s life when they buy an item for their home that gives them a true sense of pride. It’s like you’ve crossed over and finally become an adult,” said David Littlejohn, Humanaut’s chief creative director. Check out the spots, and share your own not-in-college-anymore dwelling with the hashtag #mywestelm.